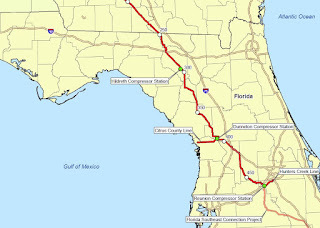 SpectraBusters continues to assist these and an increasing number of groups that oppose the Sabal Trail fracked methane boondoggle, such as Flint Riverkeeper and Georgia Sierra Club, and Florida Sierra Club, as well as others much farther away. As Sierra Club wrote back in March 2014, Florida doesn’t need another pipeline; the Sunshine State should go directly to energy efficiency and solar power. Since then Stanford Prof. Mark Z. Jacobson’s research group has spelled out how to convert everything in Florida, Georgia, Alabama, and every other U.S. state (and 135 countries) to sun, wind, and water power by 2050, with most of that done by 2025. Especially now that the three-month-long and still not stopped Aliso Canyon (Porter Ranch) storage well methane spew has turned into Three Mile Island for “natural” gas, it’s time for we the people to demand our elected officials stop the fracking, pipeline, and LNG export boondoggle! No new pipelines. Solar power now.